If the name Séb Lorentz doesn’t ring a bell, it should. 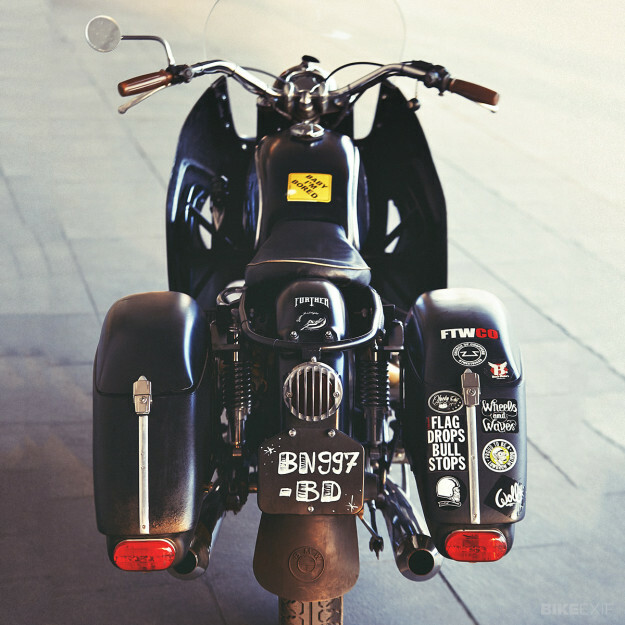 Séb runs The Lucky Cat Garage and is one of Europe’s most gifted bike builders, with an eye for a line and a willingness to break the mold. 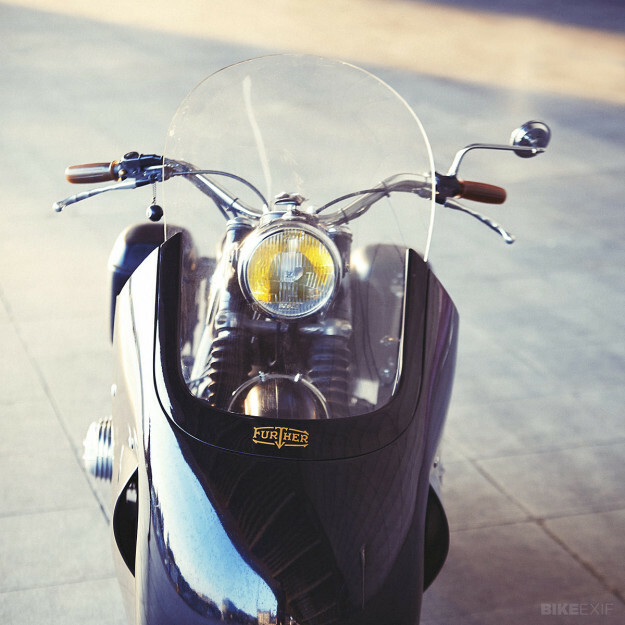 He’s built two of our all-time favorite customs: a slammed Yamaha XS650 and the amazing Sprintbeemer—the BMW racing motorcycle that triumphed at last year’s Glemseck 101 sprint races. 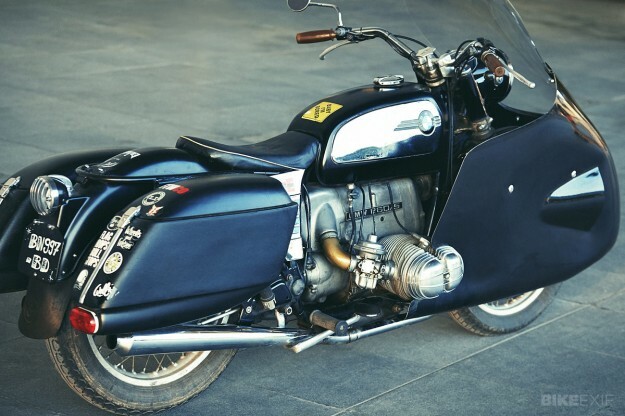 It’s a short wheelbase model sporting the famous ‘toaster’ tank, but Séb has fitted the engine from an R75/5 to get a few extra stout German horses. The exhaust system has been upgraded with classic Hoske mufflers and power goes to the road via a standard R60/5 gearbox with a short ratio rear end. 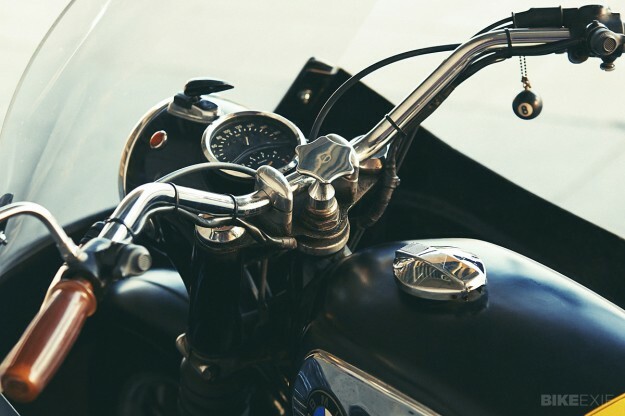 Custom parts include a one-off seat pan and new upholstery, which Séb describes as being “temporary but has lasted longer than planned.” The bars are from a US-spec Triumph T120, and are fitted with Posh grips. 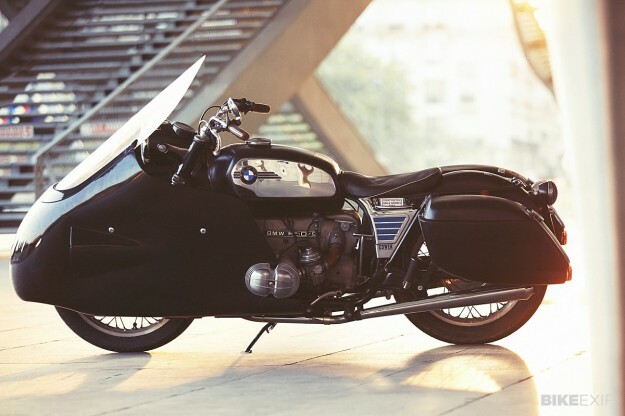 The BMW R60 is normally quite a high-riding bike, so Séb has shortened the forks and fitted more compact shocks to lower it closer to the ground. But it’s the bodywork that grabs the attention, starting with the magnificent, all-enveloping fiberglass fairing, located by Atelier Chatokhine. The rear fender has been modified to take a 1933 Ford taillight with a grill, and the front fender—not that you can see it under the fairing—is a /6 BMW Police-spec fitment. 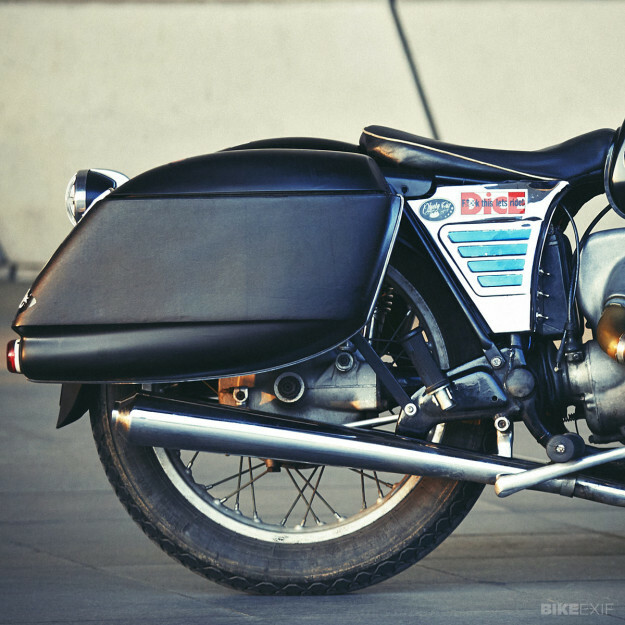 It’s the perfect custom for leisurely cruising around central Europe, and pretty practical as well—thanks to the authentic Wixom Ranger panniers. And if you get lost, there’s a little illuminated Hull compass to refer to, a popular post-War auto accessory and far more charming than a GPS unit. 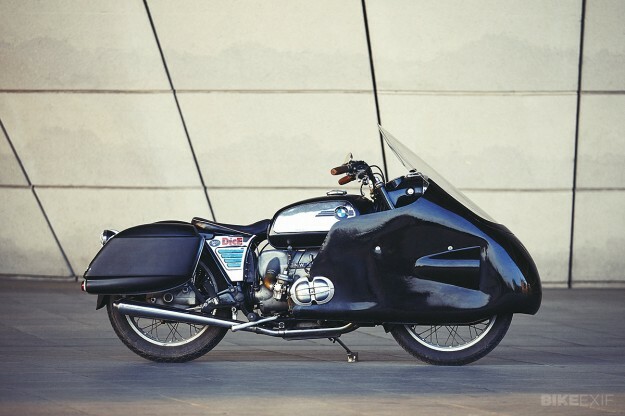 Séb’s BMW R60/5 is probably less suited to long-distance touring than a slick new Honda VFR800, or an American V-twin. And it might not be the fastest bike in the world, either. But I know what I’d rather swing a leg over. As the saying goes, it’s better to travel than arrive.